The Pierre & Vacances La Marelle et Le Rami Residence was built in typical Savoyard style and blends in perfectly with the natural environment. The residence offers fully-equipped self-catering ski apartments. 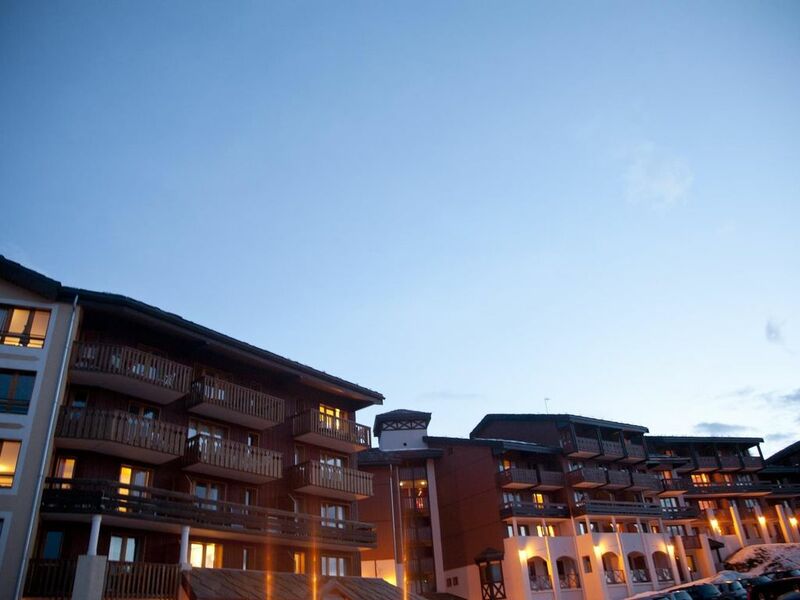 All accommodations have a balcony or terrace offering panoramic views of the ski area. Retail and entertainment facilities are within 500 meters of the residence. A number of activities are available both in the residence and local area such as: Situated near the ski domains of La Plagne and Paradiski, which is accessible by the 'Vanoise Express' cable car. Many activities: snowboarding, bobsledding and snowshoeing. The ESF ski school can take care of your children either in the children's club or with ski lessons. A warm and friendly ski resort in the Paradiski ski domain. A residence at the foot of the slopes, 250m from the ski lifts. A residence which offers catering packages. Living room with 2 single sofa beds, 1 sleeping alcove comprising a bunk bed. Note: Toilet in bathroom Note : Sleeping in the top bunk is not recommended for children under 6 years old. Law no. 95 949 of 25/08/1995. If you book for one week, arrival and departure are on Fridays. In case of online reservation you receive an invoice per-email immediately. We request a 50 % down payment. The other 50% is due one month in advance. There's a € 50 deposit and has to be paid on the spot at the reception desk. You will receive it in return on your bank account within 8 working days on condition that everything is in order. Cleaning costs (incl. Linen) are € 50. Tourist tax at € 0,70 p.p.p.d, to be paid on the spot at the reception desk at arrival. Arrival between 1500h and 17.00h, departure before 10.00 a.m. In a unique position in the Savoie, the heart of Tarentais region (1450m). At the heart of the Paradiski area, one of the largest ski areas in Europe. A resort with a warm and friendly atmosphere. An ideal location for exploring the various local heritage and traditions. *Services proposed only to certain residences; subject to availability.